Seshadev Sahoo is an Associate Professor of the Finance and Accounting area at Indian Institute of Management Lucknow. 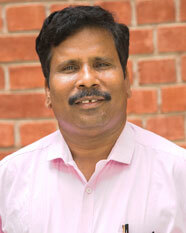 He holds a Ph.D. from Indian Institute of Technology (Vinod Gupta School of Management) Kharagpur. His research interests span in the fields of initial public offerings (IPO) market, IPO valuation, anchor investor behaviour, analyst forecast, accounting issues in valuation, due diligence corporate governance issues, earnings management and IPO pricing. His research publication uses a variety of methodological techniques, including experimental designs, structural equations modelling, regression and meta-analysis. His research has been published in peer reviewed journals including Journal of Emerging Market Finance, Spanish Review of Financial Economics, IIMB Management Review, Vikalpa, International Journal of Financial Services, Decision, IUP Journal of Applied Finance, South Asian Journal of Management etc., among others. His recent consulting interest include undertaking predictive analytics for IPO value, financial reporting & analysis and performance evaluation, Cost management and control. Ind.AS., financial statement analysis, earnings management, equity valuation, due diligence, financial evaluation and control. 1995-1997 - MBA, Finance, Utkal University, Odisha.